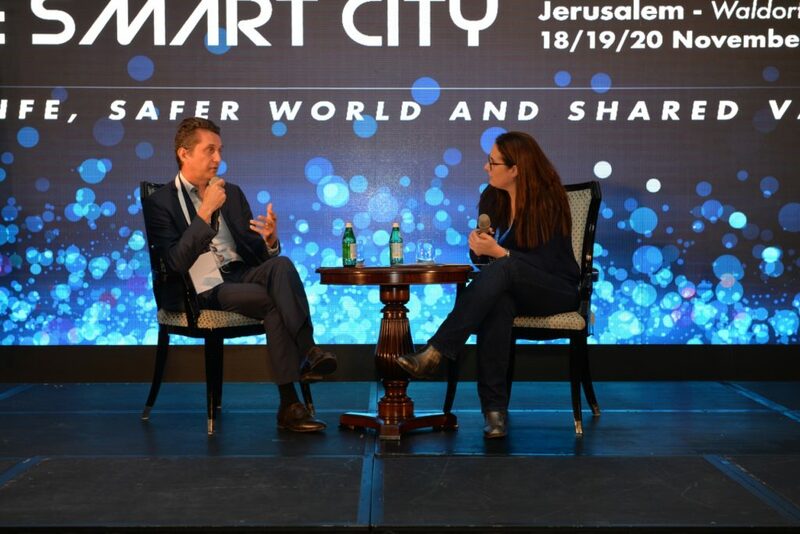 The third edition of the Safe & Smart City Conference, a premier Europe-Israel event gathering entrepreneurs, innovators, global companies, start-ups and policymakers for a vibrant debate about the future of modern cities, inspiration and business opportunities, took place in Jerusalem on November 18-20. 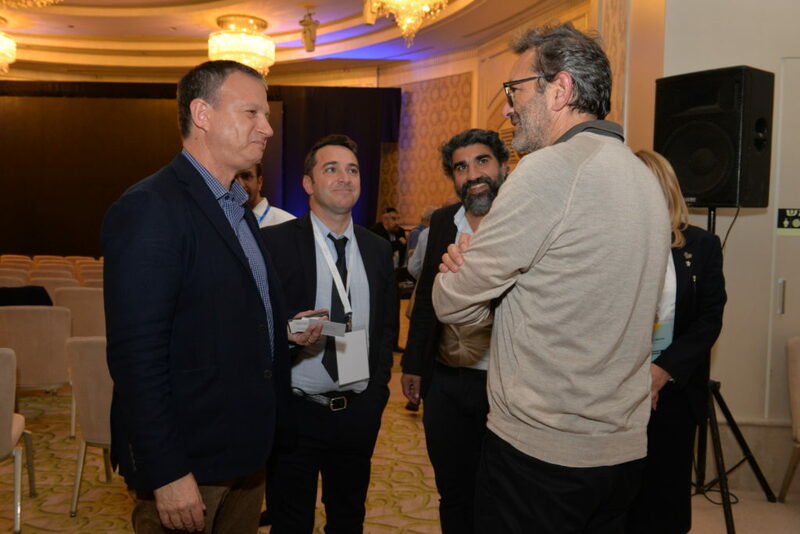 The event was part of the France-Israel Cross-Cultural Season, and Israel’s 70th anniversary celebrations. 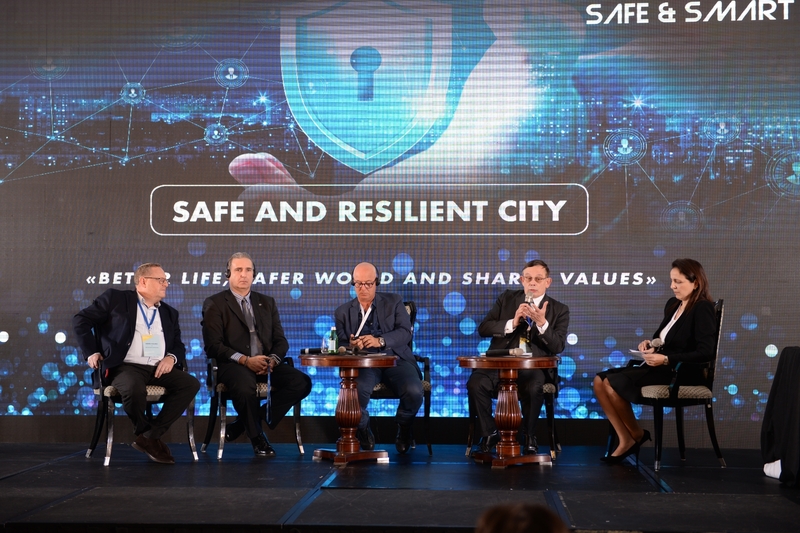 Over 400 renowned speakers and guest attended the conference, including Yossi Vardi, founding father of Israel’s high-tech sector, Erel Margelit, founder of the JVP, David Harari, chairman of Tactical Robotics and the French-Israel High Council for Science and Technology, Adrien Morenas, member of the French Parliament, Anat Tsour-Segal, CEO of Capital Nature, David Smadja, an ophthalmologist who developed the Nano-Drops, Laurence Maillart Mehaignerie, member of the French Parliament, Eric Phillipon, CEO of FAMAE, Filip Negreanu, Policy Advisor at the European Parliament, Gil Ayalon, Director of EMEA Mobileye, Jeremie Kletzkine, VP Startup National Central, Amir Elichai, CEO of Carbyne, and Anat Berko, Chairman of Knesset Subcommittee on Cyber Defense, as well as representatives from the IDF, police, airport authorities, academia, European diplomatic missions, and more. 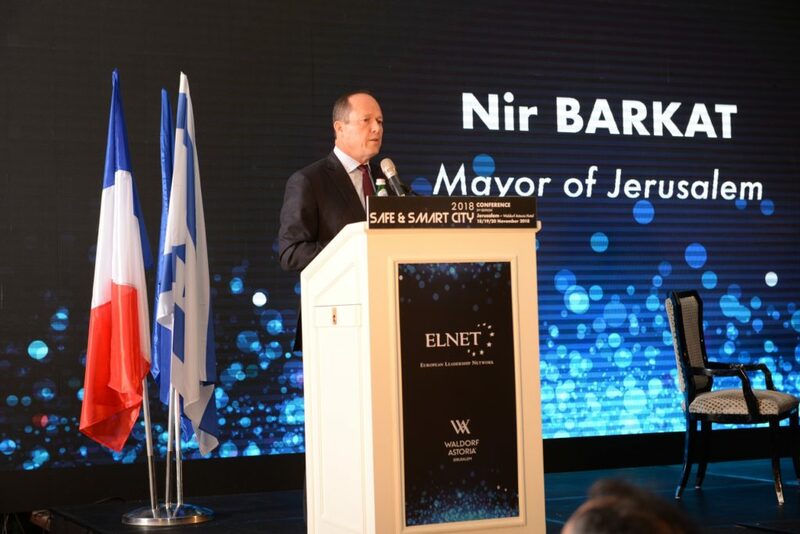 The event brought together representatives of Israeli and European cities, including Nir Barkat, Mayor of Jerusalem, Rudy Salles, Deputy Mayor of Nice, as well as officials from the cities of Tel Aviv, Eilat, Toulouse, Netanya, Ashdod The conference, which took place days after the second round of the local elections in Israel, provided an opportunity for the newly elected mayors and city representatives to discuss with top experts how innovative technologies can help address key challenges faced by their residents, including safety, mobility and quality of life. 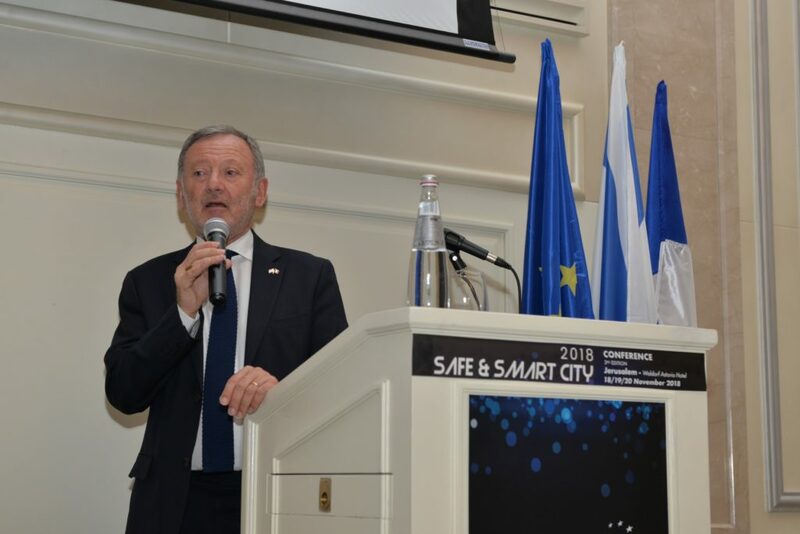 Over 250 European and Israeli companies interested in Europe-Israel collaboration took part in the event, including Orange, Airbus, Mobileye, Pitango, Carbyne, Capital Nature, JVP, DLD, Schneider Electric, Ambar, Apex Drone SAS, Genomic Vision, Simplex, Renault-Nissan-Mitsubishi Lab, Sky Tran, Via.io, MILLA, GECI Advanced Technologies, JC DECAUX, Premia Capital, I3Equity, Trucknet, So Nah, ISFM, DAV Foundation, Magalim Solar, RSA Digital Risk Management, and Start Up Keepers. An exceptional opportunity was given to companies in the field of water innovation. FAMAE, a French Venture Capital that invests in innovation in the field of environment, joined the conference and announce the official launch of the annual FAMAE Water Challenge – a € 2,000,000 prize competition for best innovative product or service related to water security, accessibility and cleanliness. 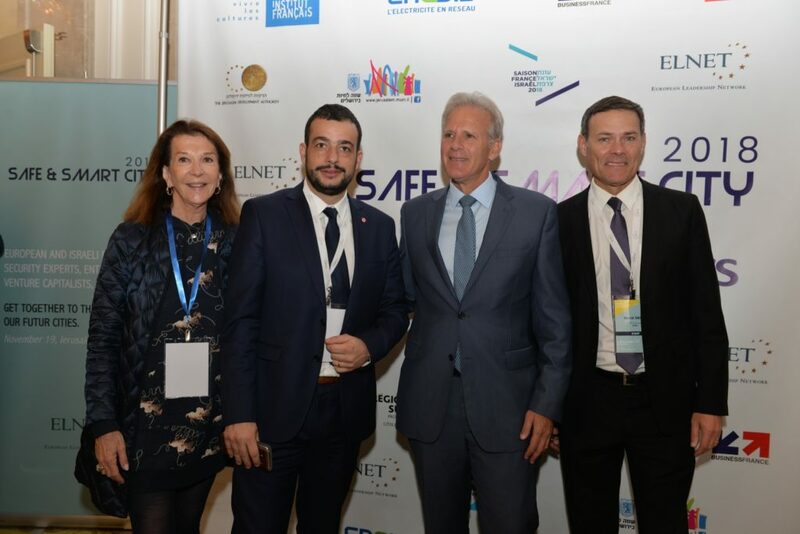 The conference was organized by ELNET in cooperation with the City of Nice, the Metropolis Nice Côte d’Azur, the region of Provence-Alpes-Côte d’Azur, and the municipalities of Jerusalem and Tel Aviv, as part of the France-Israel Cross-Cultural Season as well as Israel’s 70th anniversary celebrations.